Place cereal in a food processor. Pulse until crushed. 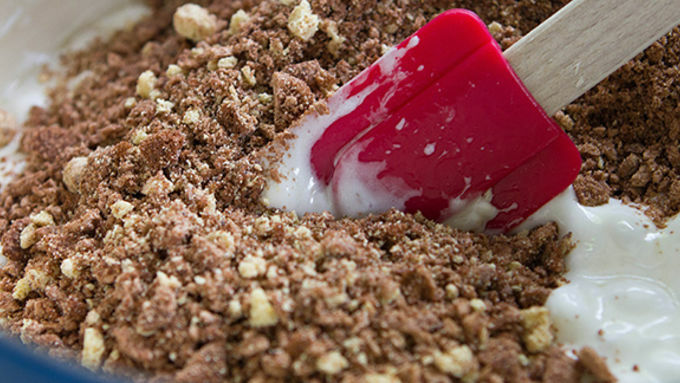 Pour crushed crumbs into the melted marshmallows. 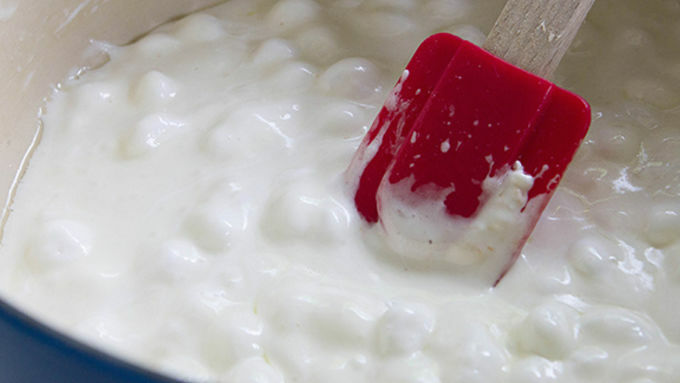 Stir until well-melted and combined, removing pot from heat. 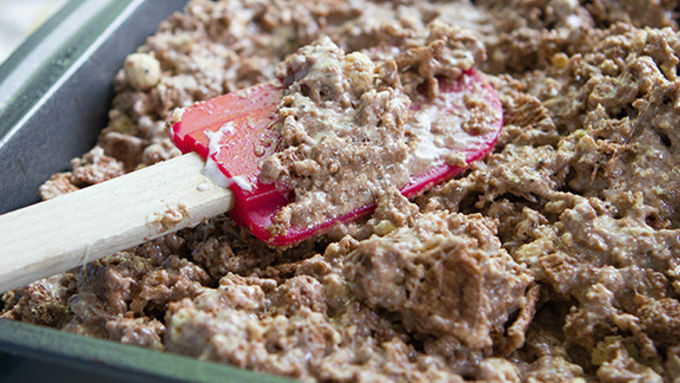 Spread mixture into a lightly greased 9x9-inch baking sheet, pressing the mixture down until flat on top. Cool, then cut into bars. Serve and enjoy! Drizzle with melted chocolate and vanilla frosting. Cool before slicing and serving. 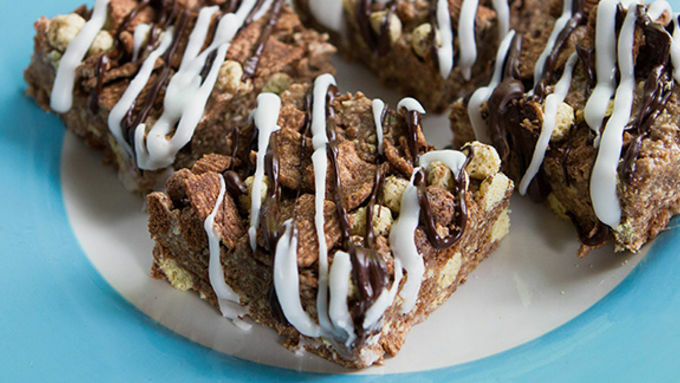 Two kinds of chocolate cereal plus the usual crispy bars stuff make these easy, gooey chocolaty treats doable in minutes. 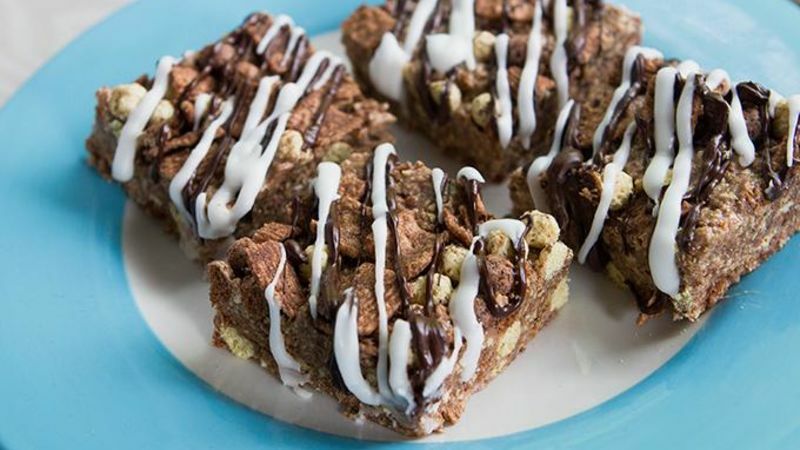 Soft and gooey, these bars call for just a few easy ingredients and taste so good, the kids in one household called them “utterly ahhhmazeballs." Get your main ingredients lined up: Hershey™’s Cookies & Cream AND Chocolate Toast Crunch (for that extra chocolatey kick), butter and marshmallows. From here things move quickly, so buckle up and get ready for dessert. Now, if you’re feeling fancy, you can pipe a bit of melted dark chocolate and Betty Crocker vanilla frosting up top. It’s like extra, extra cookies and cream flavor. But they taste great plain too. Once the bars cool, serve them up to everyone you love!